**Allows 200 concurrent users to connect anonymously to Terminal Services over the Internet. 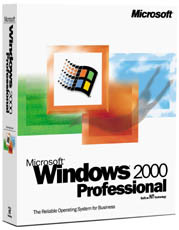 Customers who are enrolled in volume licensing Upgrade Advantage/Maintenance or included as part of an Enterprise Agreement will be eligible to receive upgrades to the equivalent Windows 2000 product for no additional charge. The following table shows Upgrade Advantage/Maintenance coverage to its corresponding free product upgrades.